The 2GIG DW30-345 is an outdoor wireless contact sensor that was specifically created for use on fences, barn doors, patio doors and more. It monitors any outer door and lets the user know if the structure is ever opened. 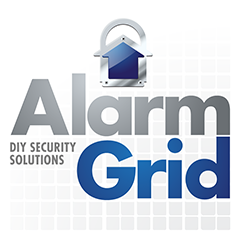 Buy the 2GIG DW30-345 Outdoor Wireless Door Sensor from Alarm Grid. If you're a 2GIG user with an outdoor opening you want to monitor, then the 2GIG DW30-345 Outdoor Wireless Door Sensor is exactly what you need. This weather-resistant contact sensor is prepared to withstand harsh environments and provide the same reliable performance as any indoor contact. The 2GIG DW30-345 operates much like any standard contact. The magnet will be very close to or in direct proximity with the sensor when the door or window is closed. Opening the door or window will cause the magnet to become separated from the sensor. The sensor will then send a 345 MHz signal to the alarm system to let it know that the structure has been opened. The system will then respond based on the Sensor Type for the associated zone. Since this is an outdoor sensor, the 2GIG DW30-345 will often require a greater wireless signal range than an average indoor sensor. This is especially true when the main panel is located inside the house, while the sensor is being used outside. The signals will likely need to travel through walls and past other obstacles to reach their intended destination. For that reason, the user might want to add a 2GIG RPTR1-345 Wireless Repeater to ensure that the signals reach the panel more reliably. As a 2GIG Sensor, the 2GIG DW30-345 was designed with 2GIG Systems in mind. This includes both the 2GIG GC3 and the 2GIG GC2, as well as the all-new 2GIG GC3e and 2GIG GC2e Systems. The sensor can also be used with the Honeywell Lyric Controller, provided that the system is running a high enough firmware version to support 2GIG Sensors. The 2GIG DW30-345 receives power from two (2) AA batteries, and it has a sealing cover to keep out unwanted rain and dust. The sensor has an approximate range of 350 feet in open air. We recommend installing the sensor within 100 feet of the panel or using a repeater to increase the range. The maximum gap between the sensor and magnet is 2 inches, but this distance should ideally be less than an inch. Stainless steel self-locking strap ties are recommended if mounting on a curved surface.